On the eve of the midterm elections, early voting is setting new record highs in many parts of the country, including in the Chicago area. 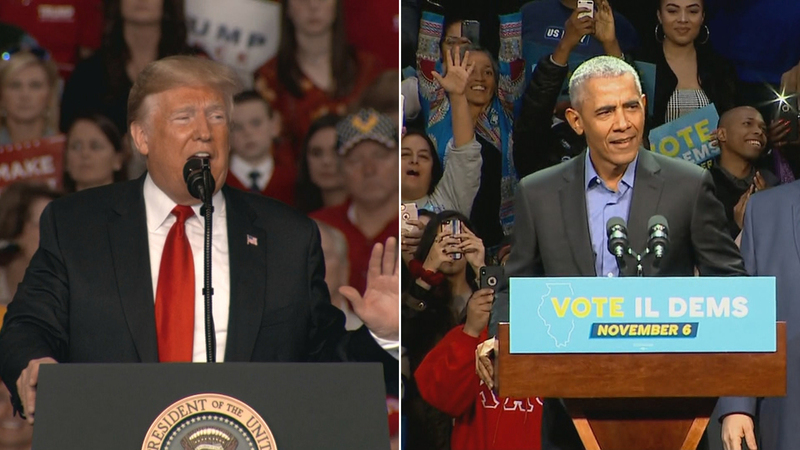 Just how much is at stake has been evident in the number of campaign rallies President Donald Trump has held, including a stop in Cape Girardeau, Missouri, on Monday to support Republicans like Senate candidate Josh Hawley. Trump’s predecessor has also hit the road and become increasingly critical of the current administration. Former President Barack Obama spoke to a crowd Sunday in Chicago in support of local Democratic candidates. “This is a titanic clash of the two parties and what they stand for, and the two presidents are symbolizing that,” Desjardins said. While Trump is focusing on the economy and immigration to fire up his GOP base, Obama is focusing on health care and civility.